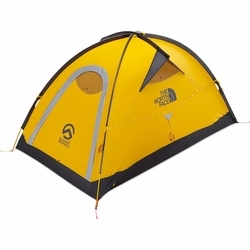 The North Face Assault 2 Tent. This 2-person, single-wall expedition tent is engineered to withstand high-altitude camps’ harsh conditions. Featuring a new three-layer material that’s more breathable and guarantees waterproofness, this innovative tent promises to keep the weather out and greatly reduce condensation buildup in humid conditions.